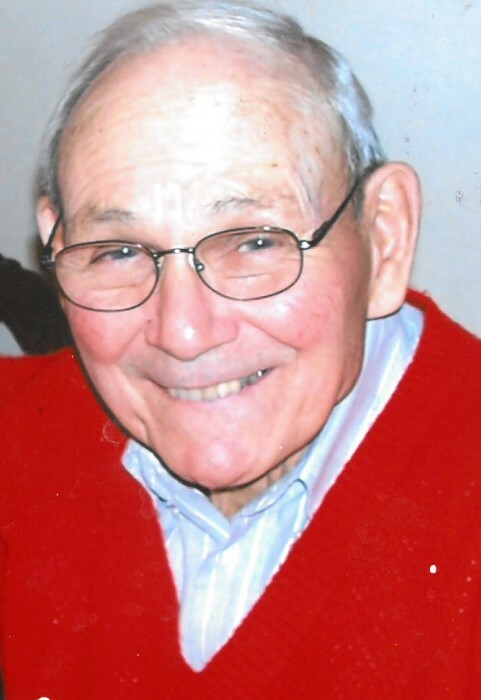 Obituary for Harlan Davis Stangel | Cromes-Edwards Funeral Home & Crematory, Inc.
HARLAN DAVIS STANGEL, 94, of Sidney passed away Sunday, April 7, 2019 at 4:14 AM at Ohio Living Dorothy Love. He was born on July 11, 1924 in Sidney, Ohio, the son of the late Perry and Anna (Rembold) Stangel. On November 1, 1947, Harlan married the former Eleanor Hoewischer, who preceded him in death. He is survived by two children, Janice Mumaw of Versailles and Andy Stangel of Botkins; one grandchild, Emily Wogoman and two great grandchildren, Kylee and Haylee Wogoman. Harlan was preceded in death by three brothers, Victor, Dwight and Floyd Stangel; two sisters, La Donna Lyons and Virgina Hoewischer and grandchild, Mathew Lee Mumaw. Harlan was a full time farmer. After he was married, Harlan and Eleanor moved on to her parent's farm near Kettlersville. They were married for over 72 years. Harlan liked to do woodworking in his spare time. He enjoyed going out in the early morning to milk his cows. He loved his many dogs and chickens he had. Harlan always had a smile for his family and friends. He will truly be missed.